“For over a thousand generations, the Jedi knights were the guardians of peace and justice in the old Republic…” Intoned and infused with mystical gravitas by Alec Guiness, these words for millions of fans represented the first time we learned about the Jedi in Star Wars. Our own hunger and interest grew over the years, alongside Luke Skywalkers’, for knowledge of the Force and the guardians who wielded it. 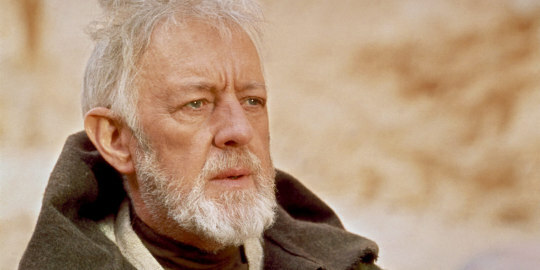 Over the length of the original trilogy, surprisingly little is actually spoken of or said of the Jedi and their order. Tarkin dismisses them as extinct, words echoed by Kenobi, beautifully stating, “…their fire has gone out of the universe.” Their fate, succinctly stated by Obi-Wan was that the Empire had hunted them down and with Darth Vader’s assistance, destroyed them. Specific as to the cause, but vague as to why, fans were left with only the conclusion that their role as guardians of peace and justice made them diametrically opposed to the Empire. There was no true why and after the death of Obi-Wan and the destruction of the Death Star, fans had to wait until The Empire Strikes Back for their next major dose of knowledge about the order. The largest cinematic representation of Jedi training up to that moment came in Empire in a very small package, Yoda. Yet, little is actually spoken about the Jedi specifically, but instead toward expectations, such as when a Jedi uses the Force (knowledge and defense) and a subtle pacifistic expression with the scolding that war does not make one great. 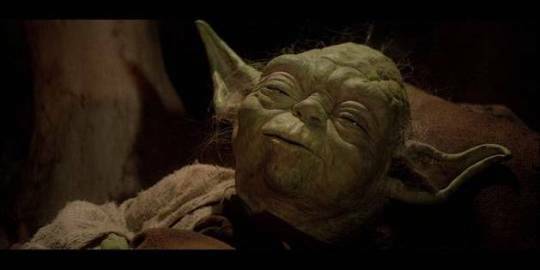 There was nothing said by Yoda that offered any insight into the fall of his fellow Jedi, only momentary expressions which perfectly conveyed the sense of a character who still mourned an indistinct but tragic past. Leaping ahead to Return of the Jedi, still little is said about the Jedi or why they fell. For the purposes of the current expanded universe, that story began in the prequel trilogy. It’s hard to say when George Lucas began to conceive of the three film arc dedicated to the fall of the Jedi, but the only villain of the story is introduced in The Phantom Menace. 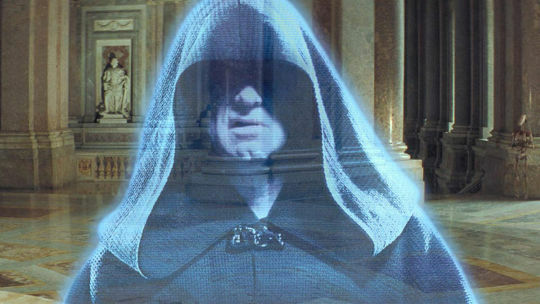 Darth Sidious, rocking the same dark robe and cowl which cryptically covered much of his face in his initial introduction as the Emperor in The Empire Strikes Back, appeared only a few times, while his alter ego Palpatine, graced the screen just a little bit more. The architect of the fall of the Jedi Order, Palpatine pushed into play a generation earlier the creation of a clone army with brain embedded chips, designed to turn legions of clones against the Jedi in a war with roots in a simple trade dispute involving his home planet. Needless to say, Palpatine knew how to plan, and arguably, Anakin Skywalker, discovered only at the end of The Phantom Menace by the Sith Lord, was simply an added bonus. Skywalker, discovered by Qui-Gon Jin, was initially denied the opportunity to become a Jedi by the Jedi Council, a decision only changed once Qui-Gon died and Anakin managed to pod race himself into a significant role in the defeat of the Trade Federation’s droid army. While the friendship which Palpatine cultivated over the course of Anakin’s life grew strong, it was only his emotional bonds to Padme that lead him to turn on Mace Windu to save the future Emperor. Ironically, part of the success of Palpatine’s plan to seize power and destroy the Jedi ultimately relied upon true love and Anakin’s attachment to his secret bride. Usually, it’s omnia vincit amor, love conquering all, that saves the day, but in this case, it allowed the Emperor to put into motion Order 66. Order 66 activated the chips inside the brains of the clones, altering their perceptions to have them find the Jedi as traitors to the Republic. In Revenge of the Sith, the following montage represents some of the saddest and tragic moments in the Star Wars universe. 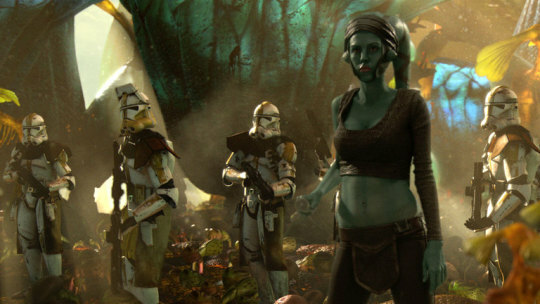 Across the galaxy, Jedi fall to their former comrades and soldiers, with Yoda and Obi-Wan both barely escaping with their lives. It represents the end of the Jedi Order, highlighted by Padme watching the Jedi Temple on Coruscant illuminate the night sky with its flames. But, this is more of the specific how the Jedi fell, not the why. Why were the Jedi, who numbered thousands, eradicated? Nominally, to clear the way for the assumption of total power by Palpatine to become the Emperor and to establish the Galactic Empire. For the purpose of storytelling, we can leap back to A New Hope and recognize the romance of a fallen order, serving both to explain the omnipresence of a galaxy spanning evil like the Empire, but also to offer added emphasis to Luke’s own importance and destiny. Diving deeper into the mythos of the Expanded Universe, including The Clone Wars and Rebels, we learn that the Jedi fall not necessarily because of Palpatine’s machinations, but because of their own involvement in the Clone Wars. The conduit for this knowledge once again comes from that familiar very small package, Yoda. In the final season of The Clone Wars, lead by Qui-Gon Gin’s voice, Yoda travels across the galaxy from one planet to another, surpassing test after test to prove himself to the Living Force as a worthy recipient of the knowledge of how to retain his identity after death. In the process, however, he learns that the Jedi’s participation in the war has fueled the Dark Side’s power. The how of this is then later explained in Rebels’ Season Two, in a conversation between Ezra Bridger and Yoda inside a Jedi Temple (it’s Jedi Astral Projection at its finest). A problem for Ezra, one which may very well lead him down a darker path like Anakin Skywalker, is a desire for power. Fear and power, according to the pint-sized Jedi Master, are what doomed and blinded the Jedi Order to Palpatine’s rise. It was fear which lead the Jedi to fight in the Clone Wars and their use of that power that concealed Palpatine’s final steps to destroy the order. In essence, it all springs back to Dagobah and the training of Anakin Skywalker’s son, the Jedi fell because they had ceased to use the Force purely for knowledge and defense. For as much as Palpatine created the trap, built clone armies, and instigated a civil war within the old Republic, it was the Jedi who had the opportunity to at least avoid their role in it, but failed to do so. The why of the order’s fall is the betrayal of their own ethos. Thus, the fall of the Jedi slips into a form of storytelling mirrored in stories and myths going back thousands of years, be it every Greek myth concerning hubris or fanciful interpretations of a King Arthur whose inaction help bring an end to Camelot.